Getting a new dishwasher is exciting, especially if you’ve been hand washing for years! Follow our simple step by step instructions to get your new appliance installed and up and running as quickly as possible. Decide on the best location for your dishwasher. You should base this on the location of a water for easier installation. 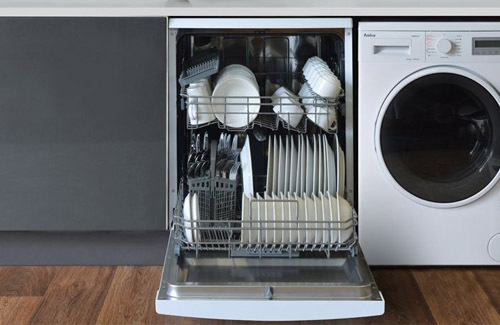 If it’s a freestanding dishwasher, make sure that there is enough space for the width and height of the appliance. 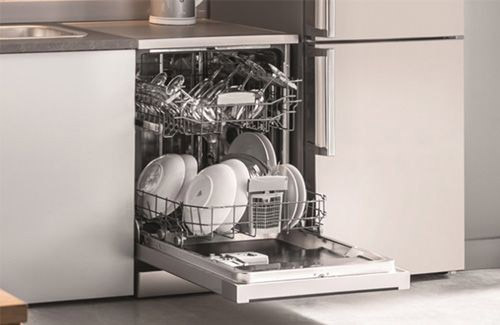 If you are installing an integrated dishwasher however, you will need to ensure that there is sufficient depth, width and height available in the cabinetry space for it to slide in. You will also need to fit a décor door to the outside of the appliance in this case. Turn off the water supply before starting the installation. 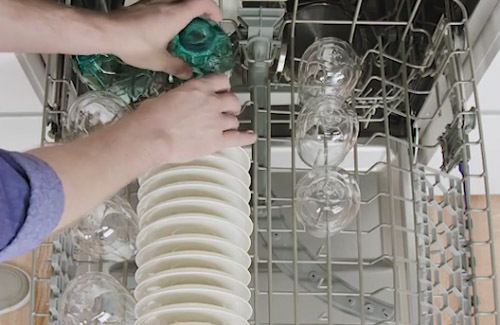 Tilt the dishwasher backwards to attach the drain hose to the bottom of the appliance. Connect the other end of the drain hose to your grey waste water system. Connect the water inlet pipe to the cold water supply. This should be at the back of the appliance. Slide the dishwasher into place but do not finalise the fixtures until you have tested the dishwasher. Connect the 13Amp plug to your power supply. Run a short programme to test the appliance is working OK. Ensure that the water is being fed into the dishwasher OK and that it drains properly after the programme has finished. Complete the fitting by sliding it into the housing fully, for a freestanding dishwasher. Or, attach the décor door and screw the appliance sides to the housing before replacing the kick board, for an integrated dishwasher. At installation, a drain hose will be connected to the underneath of your appliance. This will take away the used, dirty water and empty the dishwasher. The drain hose should be connected to your grey water waste system. Where do dishwashers plug in? 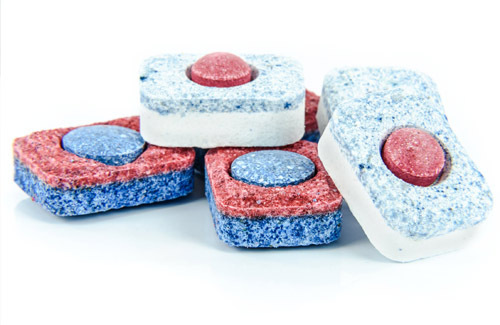 Our dishwashers are fitted with a 13Amp plug so that they can be easily connected to your household power supply. The only technical bit is the plumbing in that is required for the water inlet and waste water outlet connections. If you are planning to move house and take your dishwasher with you or if you are designing a new kitchen layout, your dishwasher can be moved to suit the kitchen. Firstly, turn off the power to the dishwasher. Pull the dishwasher out from the cabinetry or housing. You will need to undo the screws holding it in place. Do this slowly to avoid pulling out any hoses by accident. Disconnect the water to the dishwasher. Disconnect the water inlet and water outlet hose. Use a flattened piece of cardboard to slide your dishwasher on to. This will make it easier to slide it around your kitchen without damaging the flooring. Reinstall in the new location. You will need a plumber to connect the water hoses correctly and check for leaks.